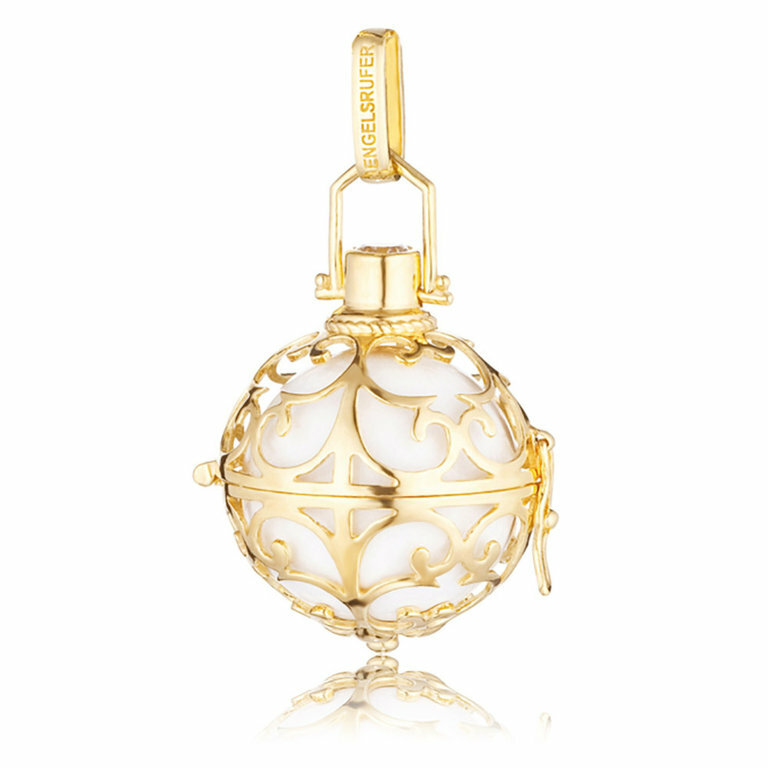 A beautiful, handcrafted with care Angel Whisperer pendant, made from gold plated 925 sterling silver with white cubic zirconia in the crown, containing a white soundball. The White soundball represents brilliance, perfection, innocence, purity and morality. The soundballs are available in 9 different colours each with a different meaning. Also available seperately are chains to hang your whisperer.